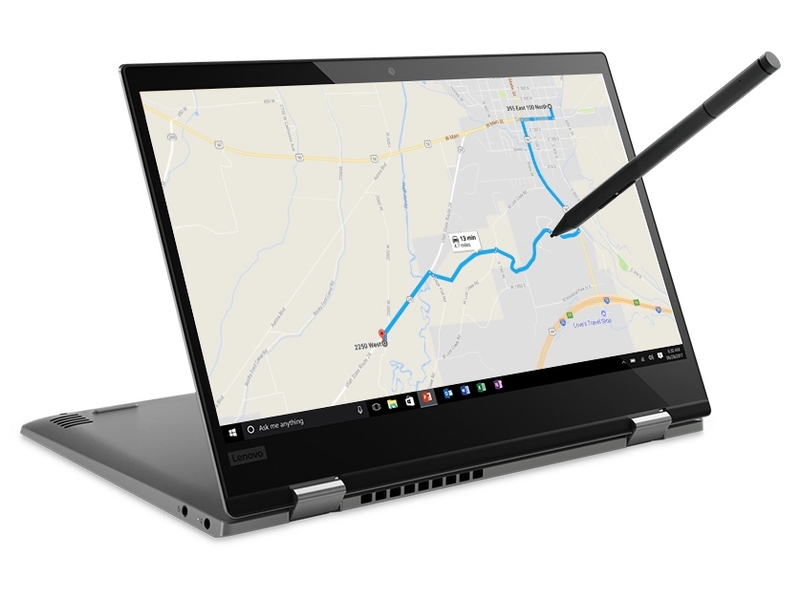 The Lenovo Yoga 720 holds its own among fierce competition in the midrange convertible laptop market, offering excellent build quality and a solid blend of features and affordability. Until we have chance to fully review the Yoga 720 we can’t say for sure just how good this portable performer is - but our first experience with the 13-inch touchscreen machine suggests the answer will be ‘very’. 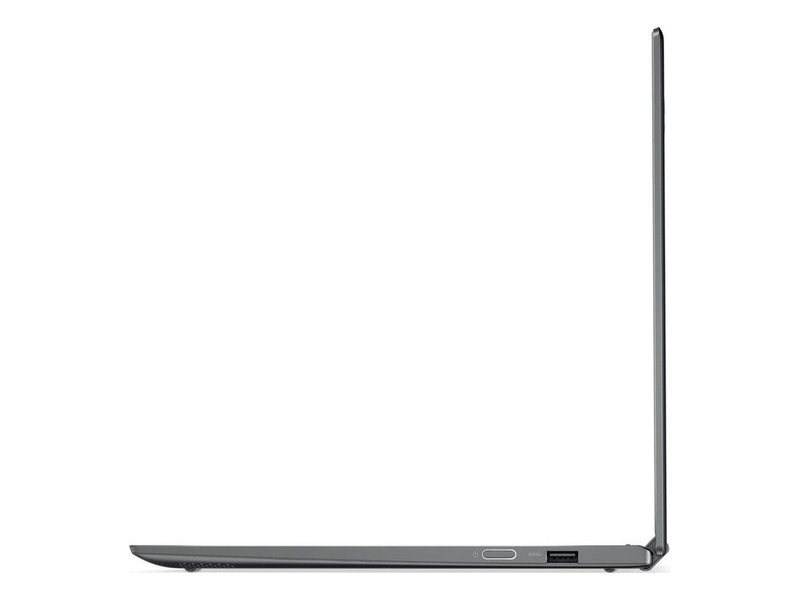 Go to the Lenovo website right now and, at the time of writing, the Yoga 720 isn't yet available. That's because you'll have to wait until April for this mid-size laptop. And part with €999 for the base model - which calculates as approximately £850, but we wouldn't be surprised if it's priced at £999 in the UK too. The Lenovo Yoga 720 is fantastic value, with a killer combination of raw power and good battery life. Positive: High autonomy; excellent display; impressive design. Negative: High price. 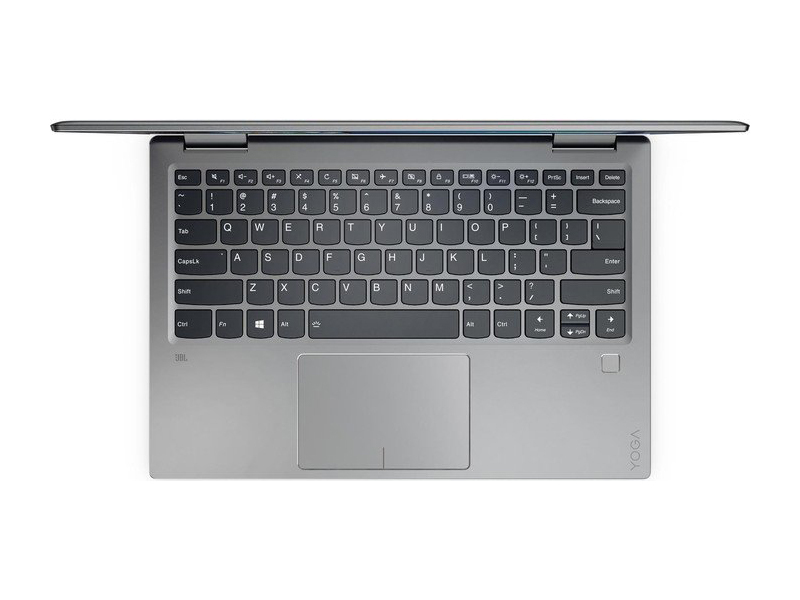 The Lenovo Yoga 720 is the most well-rounded thin and light convertible laptop with a good blend of performance, mobility and hybrid (yoga) features. We wish it had slightly better port selection though. 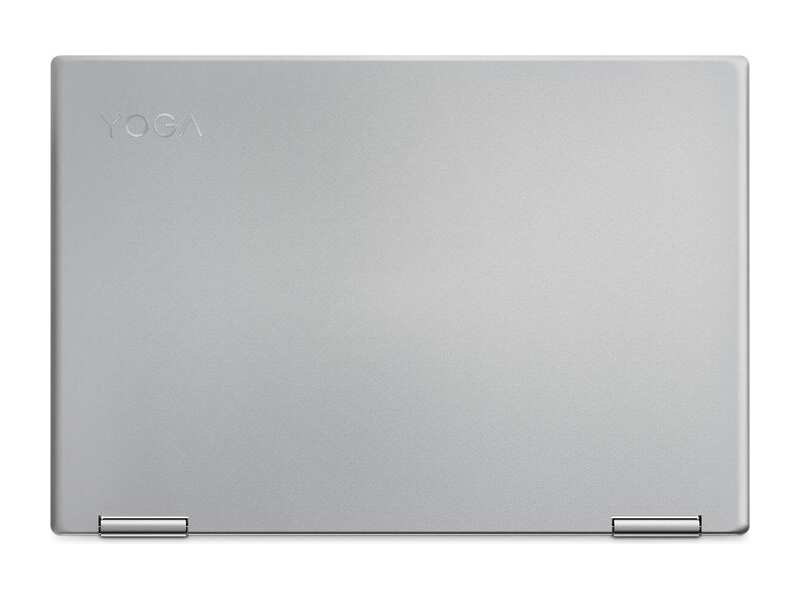 I am impressed with the Lenovo Yoga series. It has all-aluminum design and weight just 1.3kg – making it very useful for travel and presentations. Recommend to those looking to buy a premium laptop without gaming as a priority. Yoga 720 works fine as a laptop and delivers impressive performance as a tablet. There are certain aspects which could have been improved - display for starters - but these are issues which shouldn't sway your buying decision too much. This is a premium product which has standout looks and to go with it gives reliable performance. You won't go wrong buying it if the hybrid is your choice of device. If you're looking for a laptop alone, then there are better options. And if you're looking for just a tablet, then there's always the iPad. Overall, there’s not much to fault the Yoga 720 on as it delivers very good build quality, a sharp display and good Windows and app performance. Battery life is decent, as long as your usage is frugal. It also works well as a tablet and the bundled active pen puts the touchscreen to better use. A few things could have been better, like having a brighter display, an SD card reader, sensible spacing between the Up/ Down direction keys, and perhaps upward-firing speakers. Almost every laptop we've seen in recent months and years has some sort of notable compromise. But in the Lenovo Yoga 720, in this review configuration, it's hard to assert more than a few minor moans at this excellent laptop. 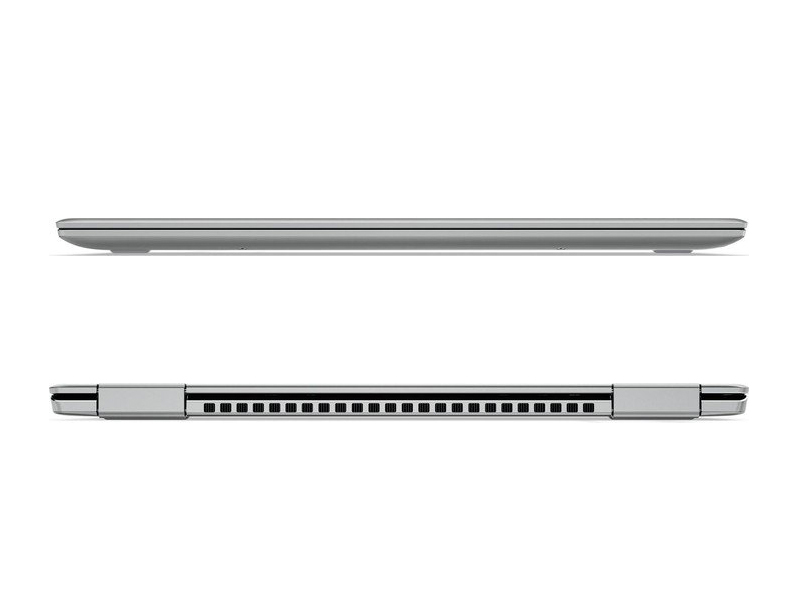 For the near-£1,000 bracket it's among the best Windows laptops you could buy. If you are looking for a sleek laptop suited for medium to heavy office use, with a pinch of entertainment, then the Yoga 720 is the one for you. It comes at an affordable price of AED 4999, but that does not mean that Lenovo has compromised on build quality or specs. You can also opt for higher end models which come with better components, but our review model seemed just perfect. Detachable 2-in-1s, in which the screen can be removed from its keyboard, are best for those who want a tablet that sometimes functions as a laptop. Convertibles like the Yoga 720 are better suited for those who want a laptop that can sometimes function as a tablet. Positive: Stylish design; light weight; fast system; good price; nice display. Negative: Short battery life. Positive: Stylish design; nice display; light weight; comfortable keyboard; fast system; good price. Negative: Weak hardware; overheats while using. Positive: Nice design; solid workmanship; comfortable keyboard; nice speakers. Negative: Noisy under loads; poor connectivity. Positive: Solid workmanship; light weight; high portability; good ergonomy; nice display; long battery life; decent connectivity. Negative: Weak processor. What the YOGA 720 does offer, though, is great and didn’t disappoint during my time with the laptop. The design is great, the hardware options are great, and the display is top notch. If you can look past the missing ports and the fingerprint-prone exterior, there’s nothing to dislike about this model. If you’re someone who needs a new notebook that performs well, has touch and you like to game on the side, the Lenovo Yoga 720 15-inch is a great way to spend your money. Just expect to charge it during lunch and between gaming sessions. The Lenovo Yoga 720 is among the most powerful, versatile 2-in-1s we've tested to date. Its mix of a Core i7-7700HQ CPU and Nvidia GeForce GTX 1050 GPU make it just as useful for video editing and playing games (at low settings) as it is for consuming movies and web browsing. It's a tad heftier than its competitors, but I'm willing to give that up for the power. Fifteen-inch 2-in-1's are niche systems, desktop replacements destined to see tablet or presentation duty only from time to time. With the 720, Lenovo pushes two of our happy buttons—affordability and gaming ability—but misses a couple of others with a subpar keyboard layout and a design short on ports. It's worth a look, but falls short of the broad appeal required for an Editors' Choice. Positive: Compact size; good price; elegant design; solid workmanship; metal case; high autonomy. Exactly which spec skews will make it to which countries is yet to be seen, but our suspicion is that lower-powered Core i models will be the most affordable, quietest and longest lasting. Positive: Good price; compact size; nice display; beautiful design; high autonomy. Versatile with limited stamina. Lenovo's new compact device gets a nice aluminum case and versatile 360-degree hinges, but also works well as a conventional office subnotebook. Important advantages such as the screen and the input devices are countered by a small number of drawbacks, and most interested buyers should be fine with them – except one. The Lenovo Yoga 720 12-inch definitely has its place in the ultra-portables market but not like this. It misses on an essential feature for all convertibles and ultra-portables – a good IPS screen. Given the price point and the Yoga lineup to which it belongs, a panel with suboptimal maximum brightness and limited sRGB is just unacceptable. And when you add the glossy finish of the screen, it becomes barely usable outdoors. Still, the absence of PWM and the high contrast ratio should be noted and taken into account. We’ve reviewed a lot of Lenovo laptops and they continue to make improvements every year. 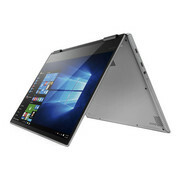 The Lenovo Yoga 720 is a worthy choice if you’re wanting a premium built laptop with great performance, a good screen and great user expereince. It is a bit heavy in terms of weight and may be a little heavy for some in terms of price. Positive: Impressive design; nice gaming performance; beautiful design; comfortable keyboard; nice display. The Lenovo Yoga 720 12″ is a lightweight yet capable laptop that makes computing on the go very easy. The Intel i3 processor is able to handle some more than one program at a time, and the screen looks great. This is probably not the laptop you will want to use if you are into heavy video or photo editing, but for every day use it should have no problem handling anything you can throw at it. Six hundred and fifty dollars isn't a bad deal, either, for a compact convertible that you can toss into your briefcase or carry with one hand. The Yoga's screen is so good that you won't miss its missing eight-tenths of an inch compared to 13.3-inch 2-in-1's, and overall it ably fills a niche. It's a small niche, however—we suspect most buyers would just as well spend the extra $150 to get the Core i5 chip, 8GB of RAM, and 256GB SSD as well as the slightly larger display of the next-size-up Yoga 720. A solid mid-range PC doesn’t need every feature more expensive PCs have. It needs the features and hardware that make the most impact. That the delicate balance that Lenovo manages with the Lenovo Yoga 720 (12”). Versatile albeit underpowered, the Lenovo Yoga 720 is a good choice for budget-conscious shoppers who want a well-designed convertible laptop for light tasks. The 12-inch Lenovo Yoga 720 is a useful convertible, thanks to its Intel HD Graphics 620 GPU, its 7th-generation Core i3 CPU and a battery that lasts longer than 7 hours. Positive: Compact size; good hardware; nice display; light weight; nice connectivity; good price. Positive: Nice performance; great built quality; good display. 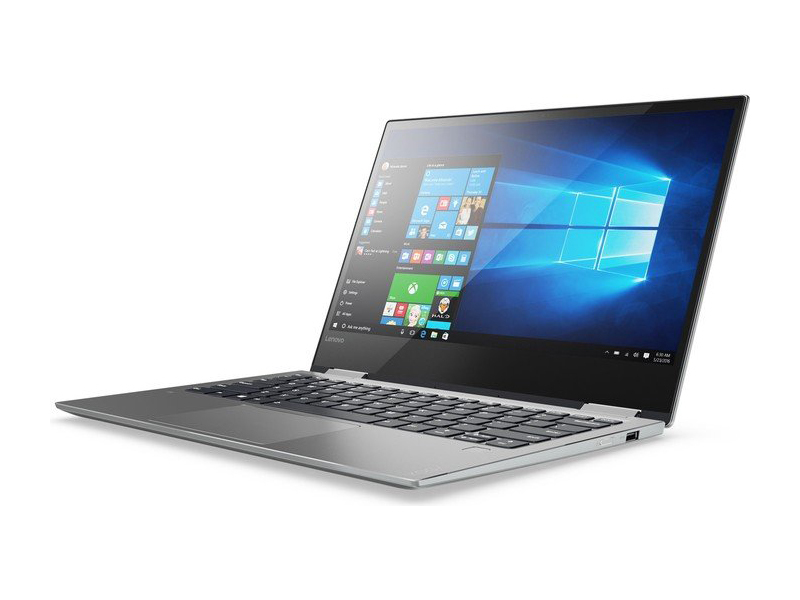 Starting at $879, the Lenovo Yoga 720 is a reasonably priced 2-in-1 with a premium feel, good battery life and sleek looks. The display isn't as bright as most ultraportables, but it's more luminous than the competition and is extremely vivid. We just wish the keyboard had more snap to it. Positive: Compact size; powerful processor; excellent display; light weight; nice connectivity. Positive: Compact size; good price; nice design; decent connectivity. Positive: Large screen; nice display; good hardware; premium design. Positive: Compact size; attractive price; smart stylus pen. Positive: Compact size; good price; smart stylus pen; nice performance. Positive: Compact size; light weight; good price; smart stylus pen. Positive: Compact size; elegant design; smart stylus pen; good price. Positive: Compact size; powerful processor; good price; smart stylus pen; nice connectivity. NVIDIA GeForce GTX 1050 (Laptop): Mainstream graphics card based on Nvidia's Pascal architecture and successor to the GeForce GTX 960M. Is manufactured in a 14nm process at Samsung and the technical specifications are very similar to the desktop version.» Further information can be found in our Comparison of Mobile Graphics Cards and the corresponding Benchmark List. 7200U: Kaby-Lake based SoC with two CPU cores clocked at 2.5 to 3.1 GHz, HyperThreading and manufactured with an improved 14nm process.7300HQ: Quad-core notebook processor based on the Kaby Lake architecture running at 2.5 - 3.5 GHz without Hyper Threading (which is supported by the faster i7 CPUs). The chip also integrates the HD Graphics 630 GPU clocked at 350 - 1000 MHz and is manufactured in a 14 nm process (improved compared to Skylake).8250U: Kaby-Lake-Refresh based low power quad-core processor. The four cores are clocked between 1.6 and 3.4 GHz (Turbo Boost) and support HyperThreading. The integrated GPU is clocked between 300 and 1,100 MHz. The SoC is manufactured in a 14nm+ FinFET process. Intel Core i7: The Intel Core i7 for laptops is based on the LG1156 Core i5/i7 CPU for desktops. The base clock speed of the CPUs is relatively low, but because of a huge Turbo mode, the cores can dynamically overclock to up to 3.2 GHz (920XM). Therefore, the CPU can be as fast as high clocked dual-core CPUs (using single threaded applications) but still offer the advantage of 4 cores. Because of the large TDP of 45 W / 55 W, the CPU is only intended for large laptops. 80.51%: This rating should be considered to be average. This is because the proportion of notebooks which have a higher rating is approximately equal to the proportion which have a lower rating.» Further information can be found in our Notebook Purchase Guide.